Aloha! Sorry about the terrible quality of the photo but it is hard when you have no one to take a pic & no tri-pod! I do try my best & hopefully that is ok for you all! This is my outfit from Sunday. 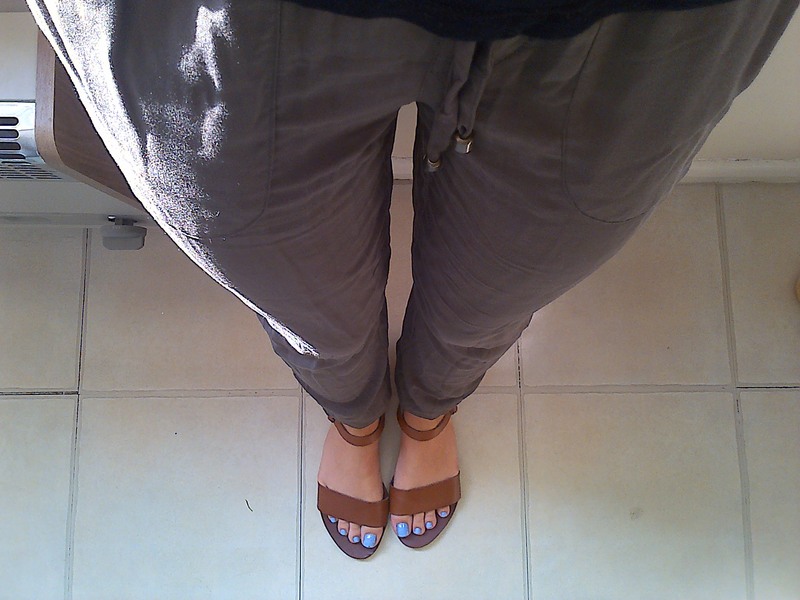 I bought these lovely Khaki pants from Primark on Saturday. They were in the sale for the amazing price of just £5.00 – total bargain! They are not my usual style but for £5.00 I couldn’t resist them. I have also been experimenting with my style recently & trying out new looks. 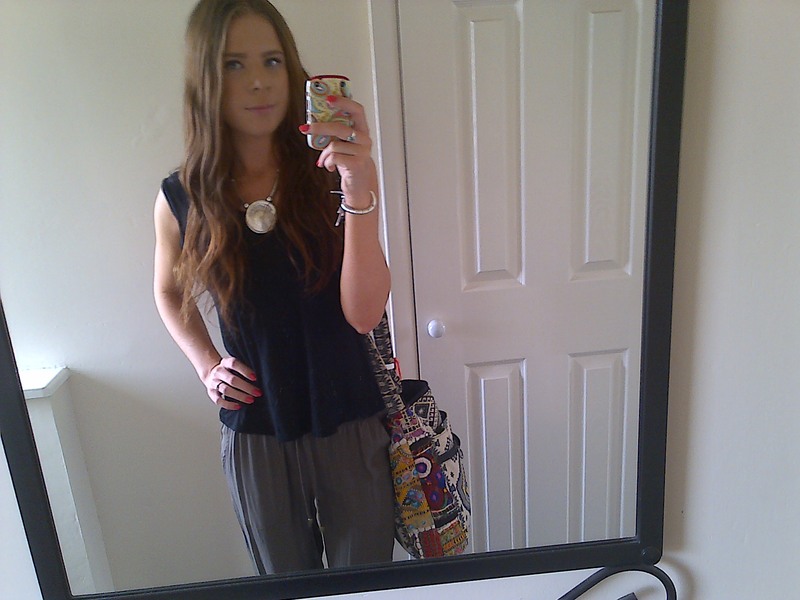 I love how these trousers look & feel, they are so comfortable. I teamed them with a simple black t-shirt & my tan sandals from Topshop. Before work this afternoon I got a little creative. 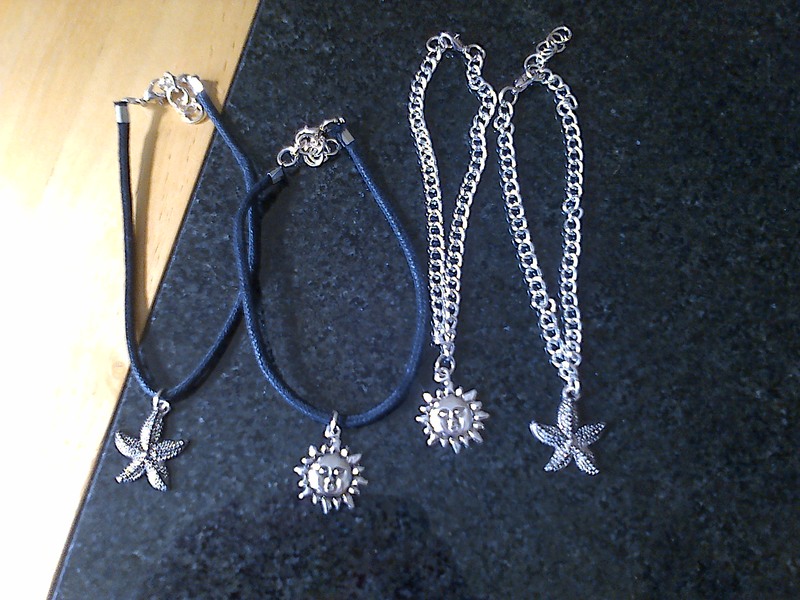 I made some cute new charm bracelets from my Etsy Store, Honu Moku. I have already had an order put in for one from a girl at work! I am obsessed with the Sun charm. I also spent the morning listening to one of my favourite bands, Fleetwood Mac, hence the title of this post. 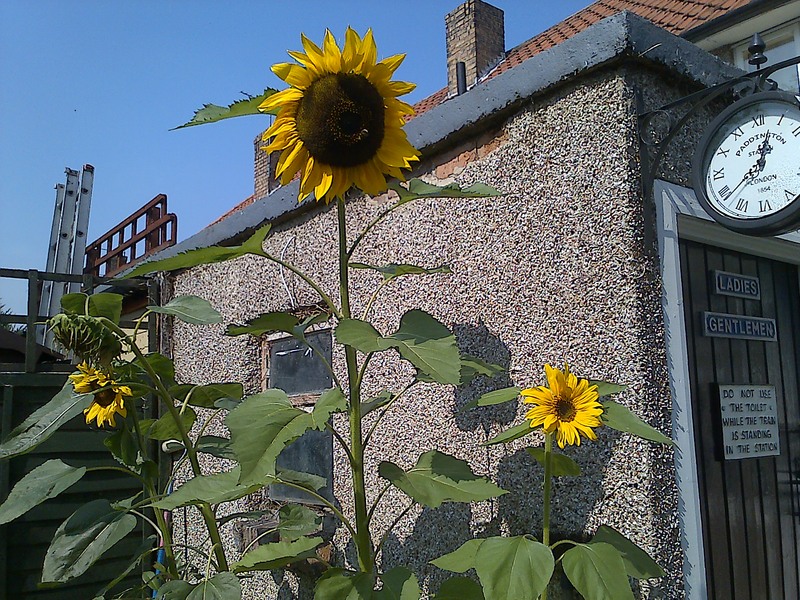 After lunch I took some time to admire my beautiful Sunflowers. 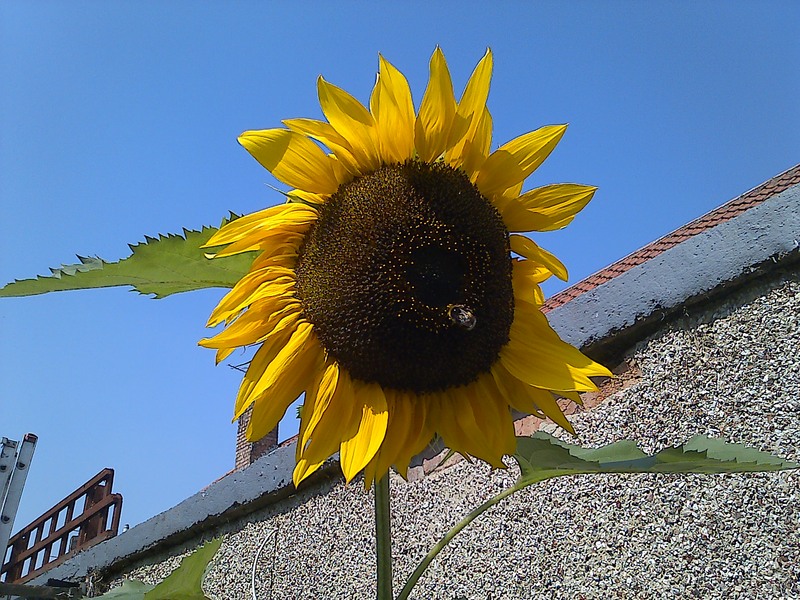 A bumble bee was also admiring natures most beautiful flower. I also wrote out my Dads Birthday card. How quirky is this card? 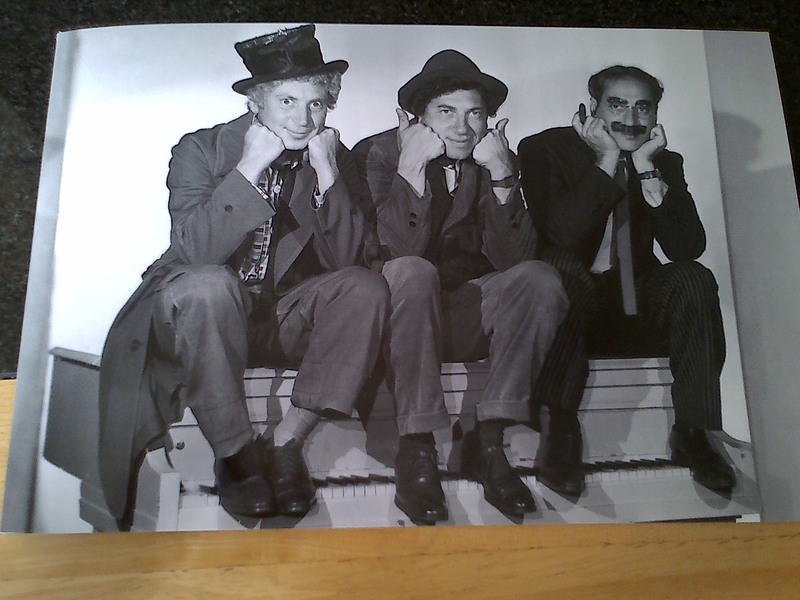 We both love the Marx Brothers so I thought it would be perfect! Change is good! I love the new pants. Blue toes… so love! Mine are blue too! !